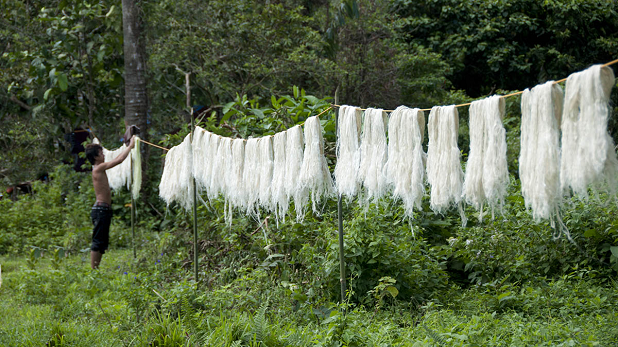 Ethical and environmental issues in the textile industry are among the most delicate topics nowadays. Researching alternative materials to the animal-derived ones has become a necessity, even because of the increasing difficulty in sourcing hides. 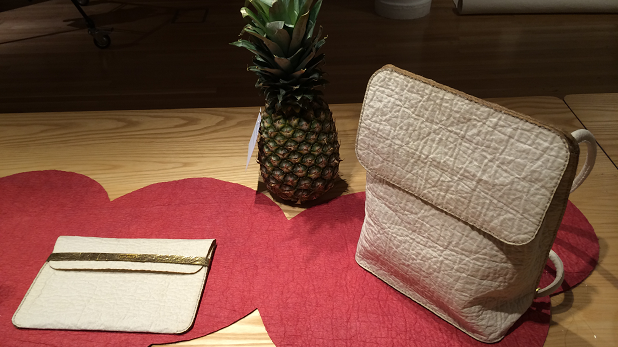 After the launch into the marketpkace of synthetic leather, whose production implies the use of toxic substances for the environment, the real revolution comes from Spanish designer, Carmen Hijosa, who patented a new type of fabric obtained from the fibers of the pineapple leaves. The idea was born out of a business travel of the designer to the Philippines, where, by seeing how tanneries worked, she came to the decision of developing a sustainable material as suitable as leather for creating bags, shoes and other textile products. However, the inspiration came only after she observed the barong talong, a traditional Filipino shirt woven together with the fibers of pineapple leaves. After five years of research conducted between Spain and the UK, she created Piñatex, a material derived from pineapple leaves (one square metre requires about 480 fibers) that doesn’t need weaving. 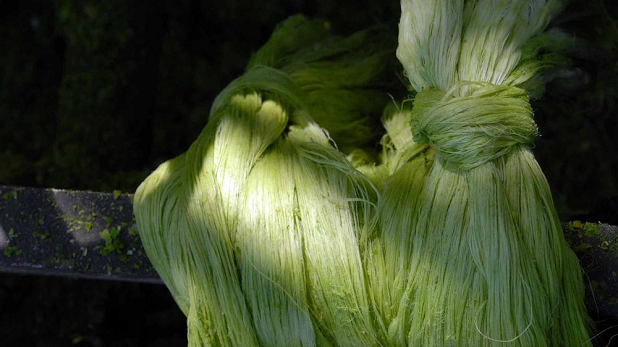 It’s an exclusively eco-friendly and biodegradable fiber, since it is sourced from fruit wastes that don’t require more water or fertilisers and, in addition, it can be used as compost by the time of its disposal. Thanks to its low cost (about 23 euros per square metre versus 25-38 euros for the leather), this innovative material is already employed in many companies including Puma and Camper, that have tested themselves to realise prototypes of shoes, bags, hats, smartphone accessories, car seats and pieces of furniture.